DTT200 – Forgery protection in the folded cartons of packaged products in accordance with the EU directive to increase forgery protection for medicines. It is under this motto that Rudolf Deckert GmbH & Co. KG is presenting its interpretation of how to implement the EU directive to increase the forgery protection of medicines using its newly-developed T&T unit to the specialist visitors at this year’s Fachpack in Nuremberg. The team at Rudolf Deckert Gmbh & Co. KG, the specialist mechanical engineer from Schwäbisch Hall in Packaging Valley tackled the request of an esteemed customer of many years’ standing for a machine to implement the forgery protection directives in a competent manner. The serialising numbers incl. DMC are traded and printed and the side flaps of the folding cartons sealed with labels. The automatic shape changing of the T&T unit rounds off the customer specifications, guaranteeing the simplest integration into the existing 12 production lines. A typical request made of R. Deckert who, in line with its motto “Complex tasks – fitting solutions”, considered early on which technical concept would set it apart from the competition. The competitors can of course also print folded cartons, have the printed content read with cameras and checked with the appropriate software, apply the original seal to the folded cartons and eject faulty folded cartons. Automatically reproduced shape changeover for folded cartons in the shape area. Automatic management of the shape parameters. Handover of the shape number on production start for automated settings by the IT system used. Inclusion of the machine controller, the printer and cameras in the customer’s higher-level computer system. 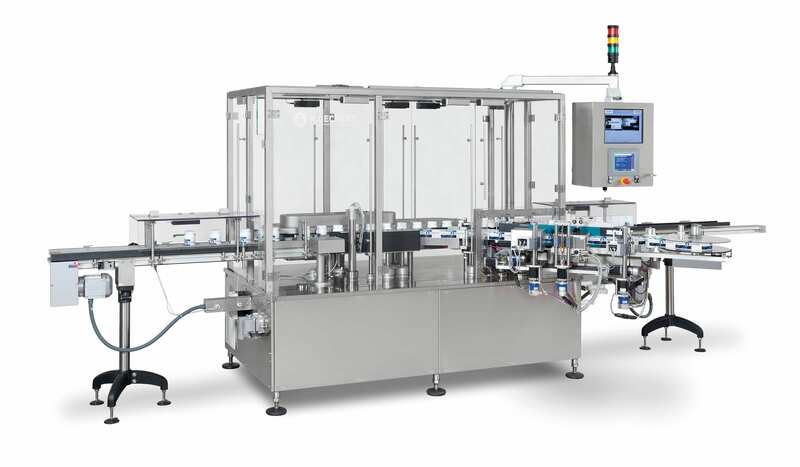 Universal machine and transport system with electronic slide register, with flexible printing side depending on the design and size of the folded cartons, configurable independently of the constant side of the upstream cartoning device.